AN ESTONIAN HITMAN who was contracted by an international crime cartel and boasted to his associates in coded text messages that he would take out his target with “one shot to the head” has been jailed by the Special Criminal Court for six years. Ex-wrestler and father-of-two Imre Arakas is a former Estonian separatist who the three-judge court heard had been “scarred and marked deeply” by imprisonment in Russia. The contract killer bought a wig in Dublin city and used an encrypted Blackberry phone to receive information about the movements and location of James Gately in Northern Ireland. He also requested a silencer for the attack. 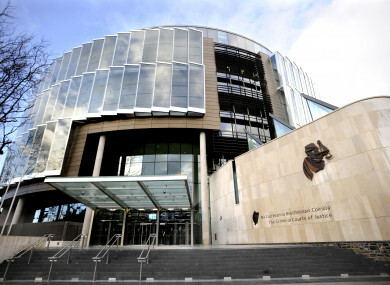 Imre Arakas (60), with an address in Sopruse, Tallinn, Estonia, admitted last month to conspiring with others not before the court to murder James Gately in Northern Ireland between 3 and 4 April last year, contrary to Section 71 of the Criminal Justice Act 2006. The maximum sentence for the offence is ten years in prison. Sentencing the defendant today, Mr Justice Tony Hunt sitting with Judge Sinéad Ní Chúlacháin and Judge Cormac Dunne, sentenced Arakas to six years imprisonment, backdated to 4 April 2017 when he went into custody. Dressed in a blue sleeved vest and wearing his silver hair long to his shoulders, Arakas sat in the dock facing the court and did not react when the sentence was revealed. Arakas has four previous convictions which include causing deliberate bodily harm, escaping from prison and unlawful handling of firearms. Defence counsel, Michael Bowman SC, for Arakas previously submitted to the court that his client was not at the apex of the organisation and had no act or part in the operational part of it. He said Arakas would be willing to leave Ireland as soon as he was released from custody. A governor’s report from Portlaoise Prison outlined the defendant was a model prisoner and was serving his sentence in a segregated block. Gardaí learned that a fairly significant five-figure sum of money was to be paid to Arakas for the hit on Gately. However, the contracted hitman owed a debt which was considerable larger than the amount he was going to get paid and this would have been set against the figure. Email “Estonian hitman Imre Arakas jailed for six years for conspiring to commit murder”. Feedback on “Estonian hitman Imre Arakas jailed for six years for conspiring to commit murder”.